For decades, they’ve been unsung heroes. But as technology and the internet become essential for businesses to succeed, your company’s I.T. department is more important than ever. The men and women that make up your information technology team don’t just troubleshoot your printer issues or pester you with emails about making sure you use secure passwords. An organized and streamlined I.T. department can provide the stable bedrock that enables other parts of your company to work to their fullest potential. When employees can rely on smoothly operating systems and don’t feel bogged down by “tech issues,” the whole company benefits. Likewise, I.T. experts worth their salt are constantly problem-solving. They’ll be on the lookout for solutions, recommending products or new technology that can meet your company’s needs. As so many companies rely on the internet and mobile devices to grow their business, disruption seems to be the name of the game. The question isn’t so much “can my I.T. department keep up?” as much as it should be “Can my I.T. department stay ahead?” An I.T. staff’s commitment to agility and flexibility can make or break a business. As the article “Super Manager! 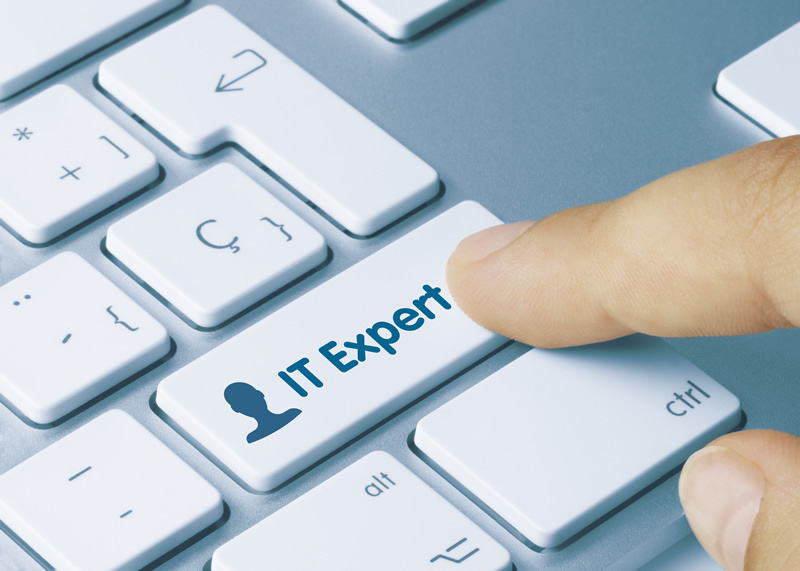 Getting the Most Out of Your IT Department” points out, it’s important to be open to the possibility of your IT team being innovators. While it’s common for companies to silo their departments, you may pay a higher price if you dismiss your IT people as merely tech troubleshooters. If for example, your company is launching an online shop for the first time, it may be advantageous to include your I.T. team in the early stages of that creative and strategic process. Someone in the marketing department may not even realize what people like web developers are capable of building until they sit down and work together. Companies typically welcome media exposure, but no company wants to make headlines because of a high-profile hack. From Ashley Madison to Target, no business is too big to fail when it comes security. These breaches leave your customer data at risk and on the public relations front; can create a general feeling of distrust toward your business’s overall competence. Your I.T. department should be part of the security front lines. A skillful team will be able to guard against threats, educate staff about protecting themselves, and anticipate future problems. While outside hackers may seem like the scariest threat to your business’s information, there’s always the possibility of sabotage from within. From spilling coffee all over a laptop keyboard to accidentally deleting a year’s worth of reports, there are countless situations in the modern workplace that call for backing up data. Your information technology team can make sure that all isn’t lost in such moments. And while you may not understand the ins and outs of cloud-based storage, smart I.T. specialists should, and will be able to integrate new technologies into current practices. For all of these reasons, it’s clear that the humans behind your I.T. department are more important than ever especially as customers and companies take their business online. About the Author: Kristin Livingstone writes on a variety of topics including online business and information technology. ← How Loyal Are Your Customers?